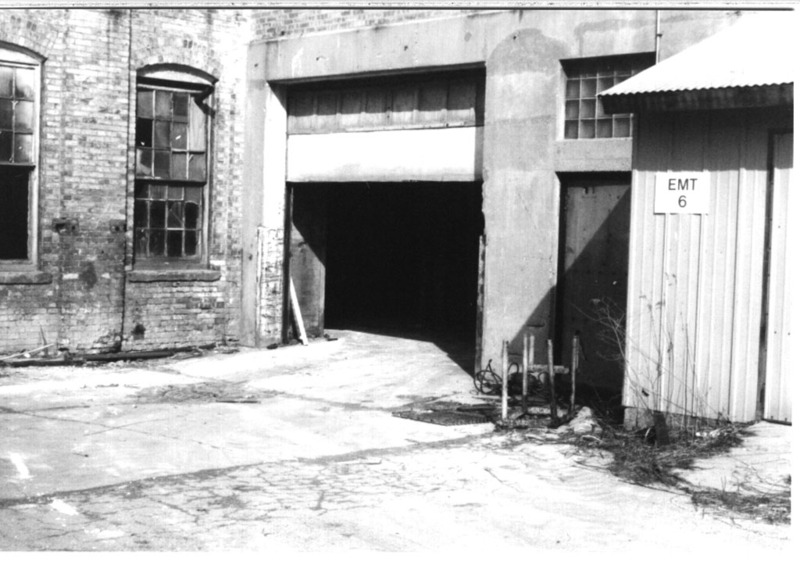 Since its inception in 1910, the Watervliet Paper Company has been the backbone of the small town of Watervliet, MI. 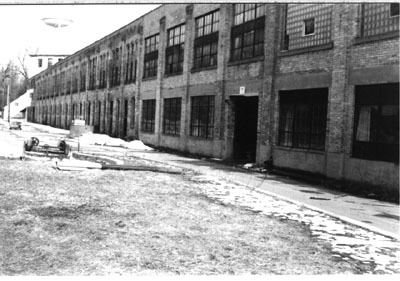 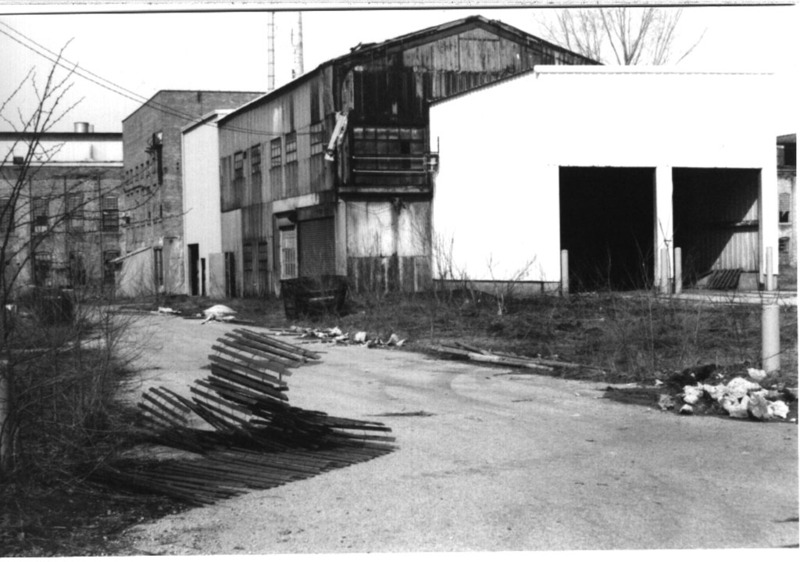 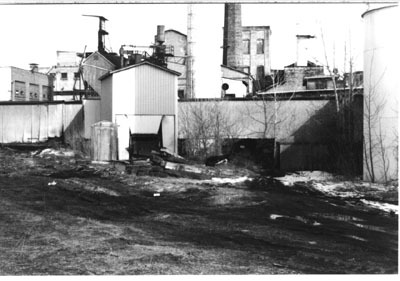 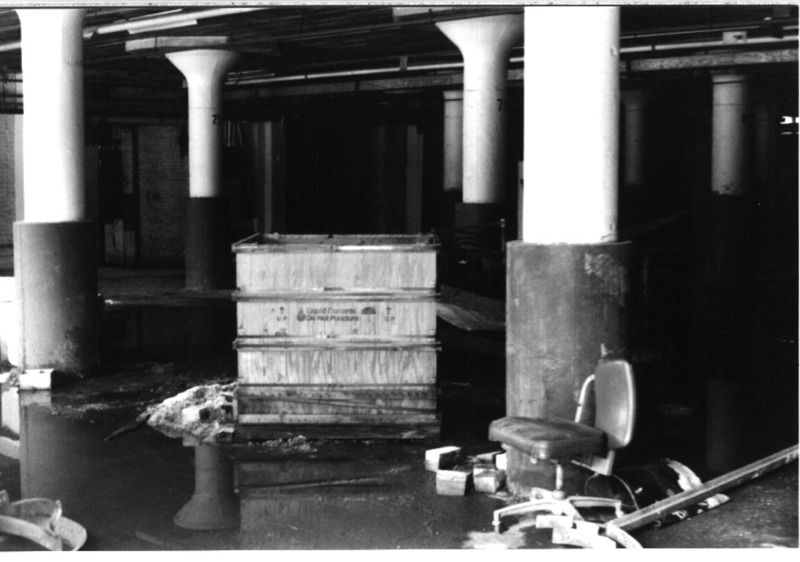 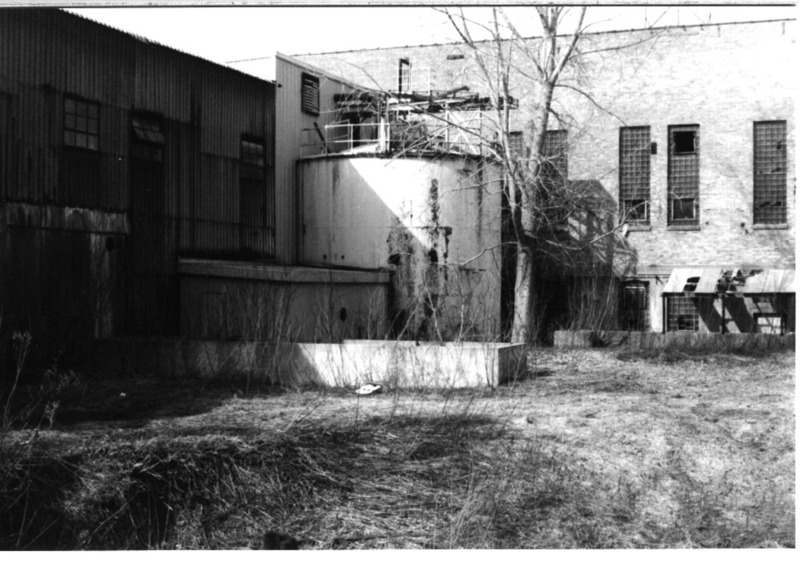 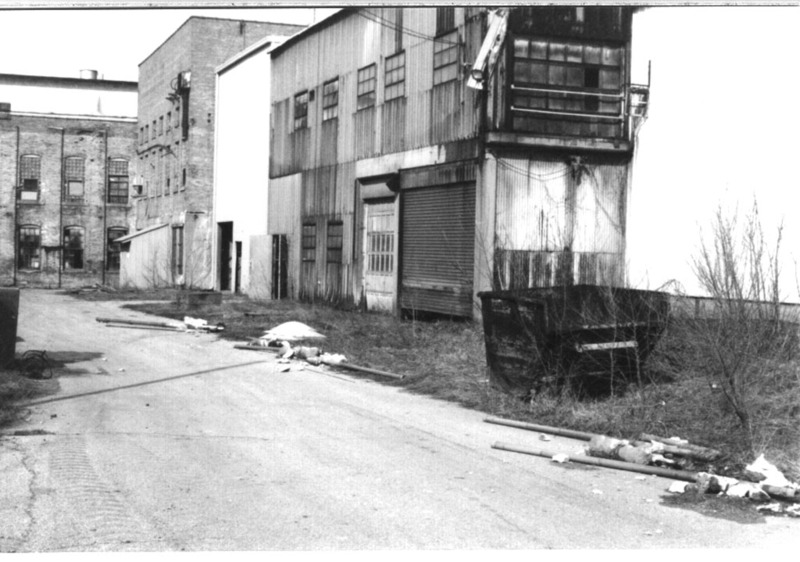 Unfortunately, as with so many paper factories in the area, the mill shut down in the mid-1990s, leaving many people out of work and leaving the town's industrial center an abandoned toxic mess. 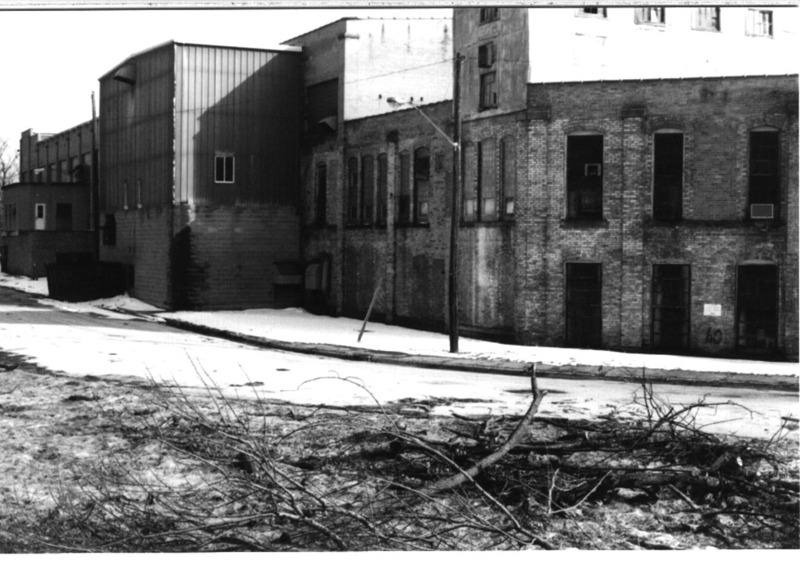 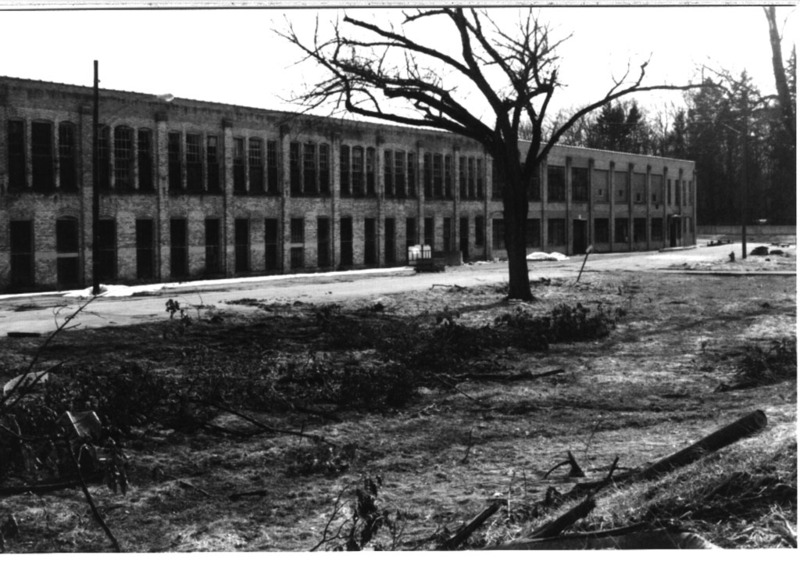 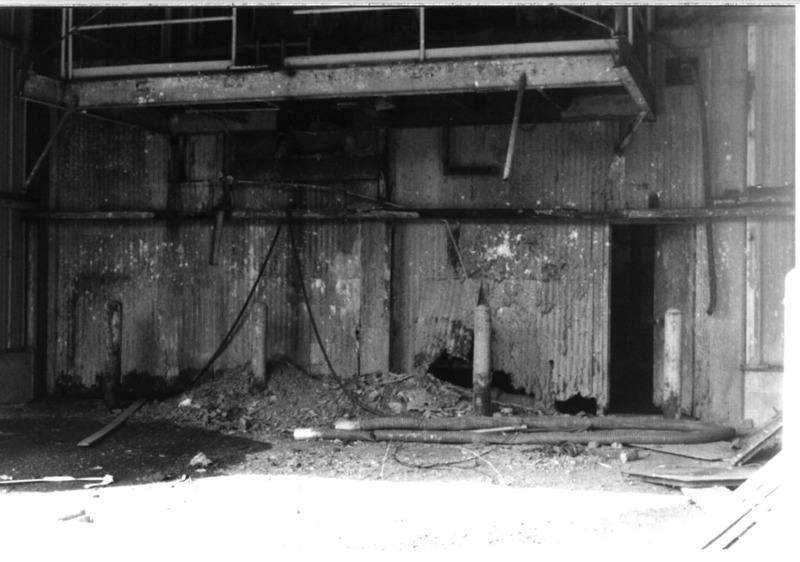 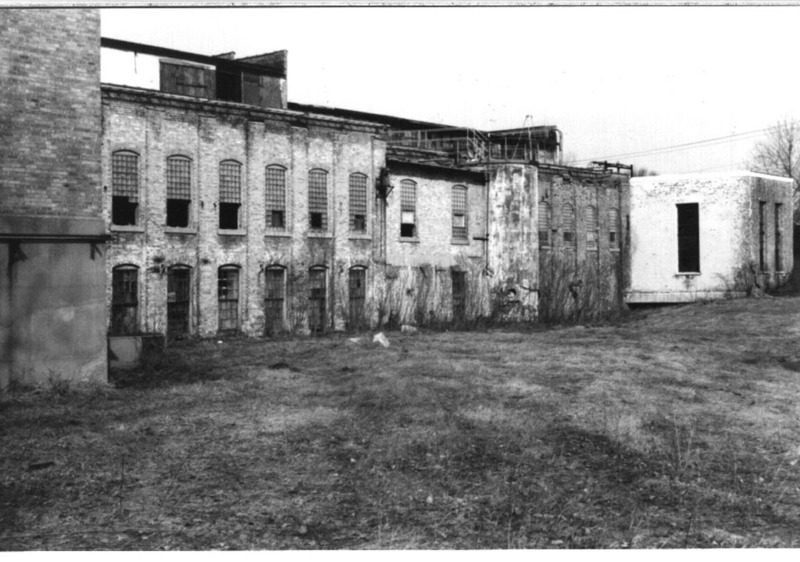 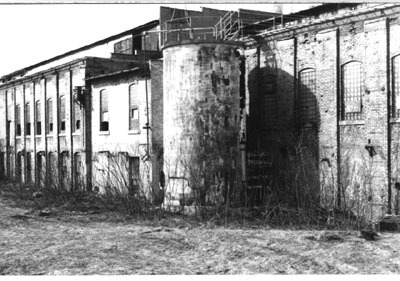 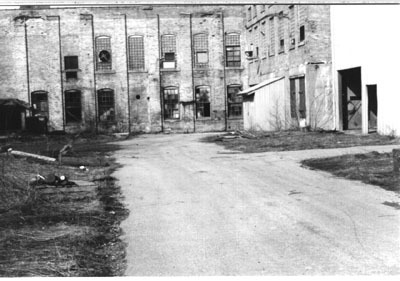 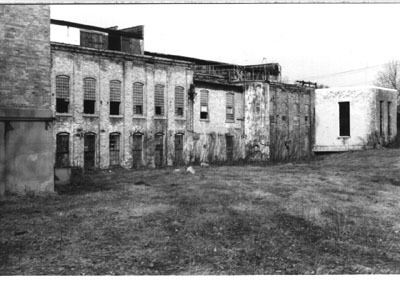 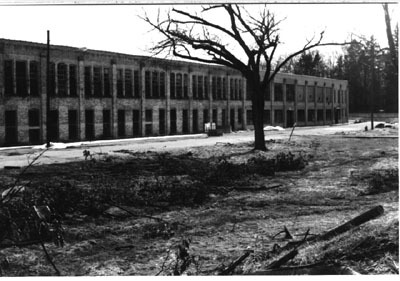 The mill was finally torn down between November 2001 and May 2002. But, before this happened, my friends and I took a few trips to the mill and were able to take some pictures of the place so that it may be preserved, at least in memory. 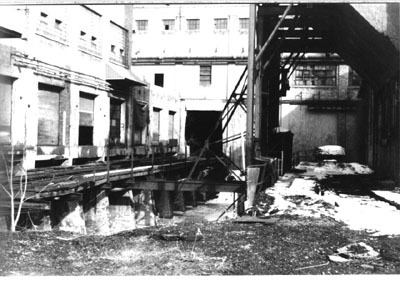 Since I don't have enough photos to make up a real "tour" of this mill, I am not going to write up as detailed a commentary as with the Allied Paper tours, since there really isn't that much to comment on. 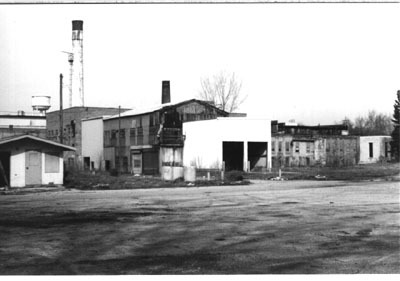 I may be able to obtain some additional images from a video tape I have that was made at this factory; once I add those, there may be enough material for a bit more narrative. All photographs on this page have been generously supplied by S. Caron. 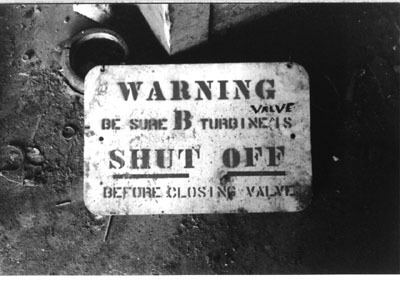 Just inside the above garage-style door is this sign warning employees about valves and the B turbine. Looking inside this garage on the south side of the mill, one sees that it is quite a mess in there. 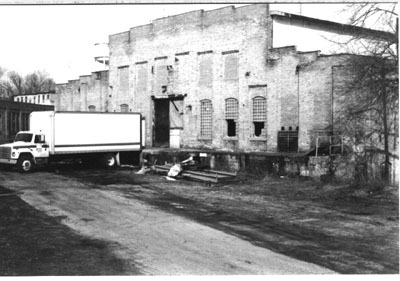 The day these pictures were taken, there were some people loading things from the factory into this truck, and some old pickup trucks. They didn't seem to want to bother us (which was very nice of them in our opinion), so we didn't bother them. I have read that for a time, ownership of the factory fell into the hands of a local family, so perhaps these people were that family and/or their friends attempting to salvage some material from the mill. This door on the mill's north side looks inviting. 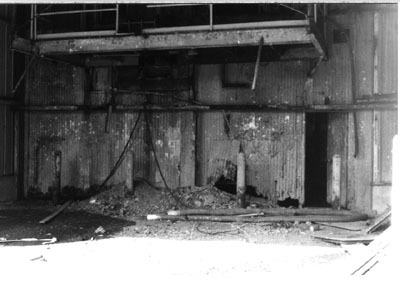 There's a room behind it, with a number of very sturdy columns. 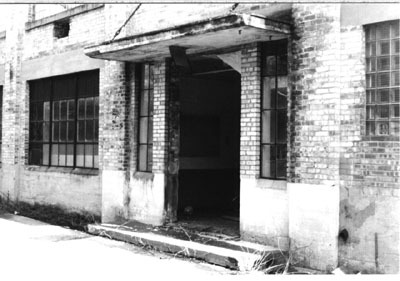 Upstairs from the column room are a number of doors, such as this one. 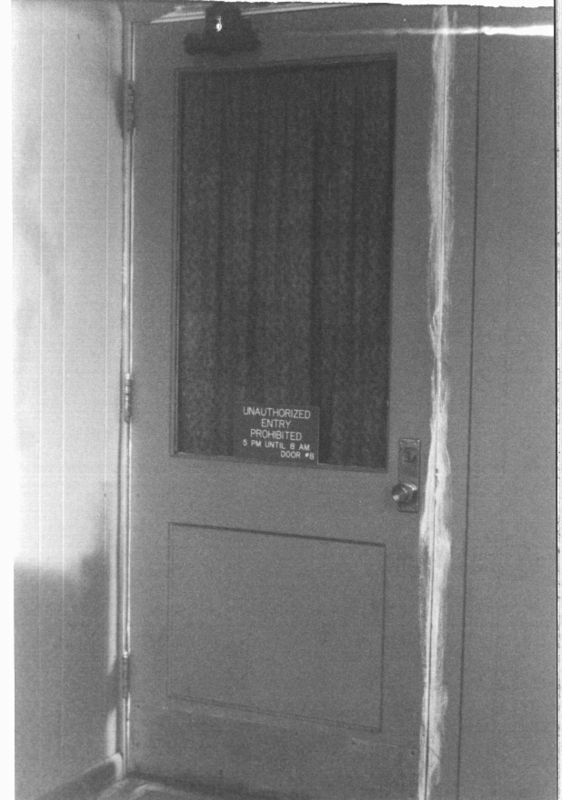 Although it was not between 5PM and 8AM when we were there, we respected the sign's instructions anyway so we do not know what is behind this door (door #8). 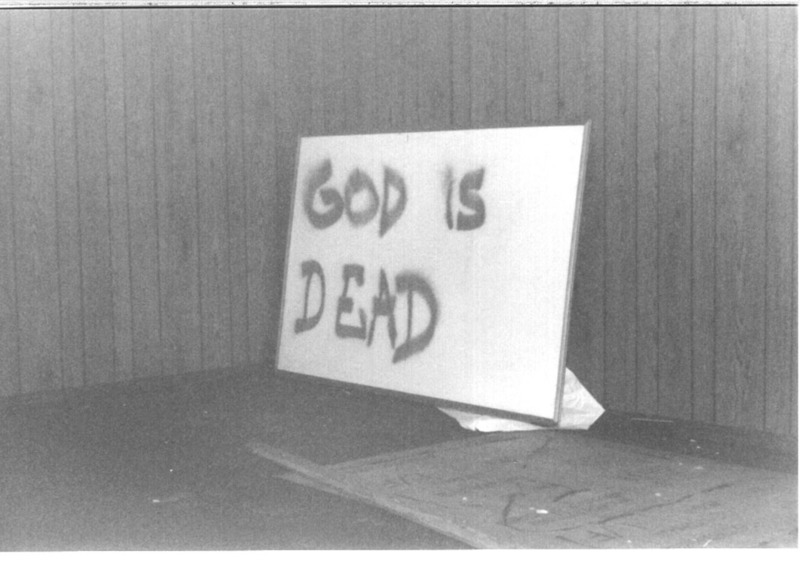 Across from door #8 was an office containing this whiteboard which had been graffiti'd. Here's the interesting part! Look at all that stuff. At the very back of the mill is this rail loading area, which was used to unload coal for the powerhouse, and was probably also used to load finished paper to be shipped out. 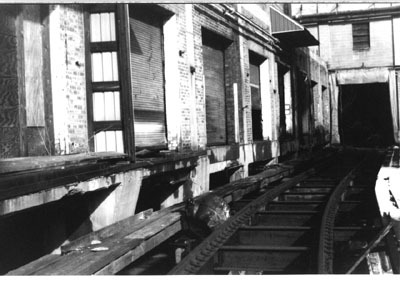 A closeup of the loading railroad.